Dickens, Charles. 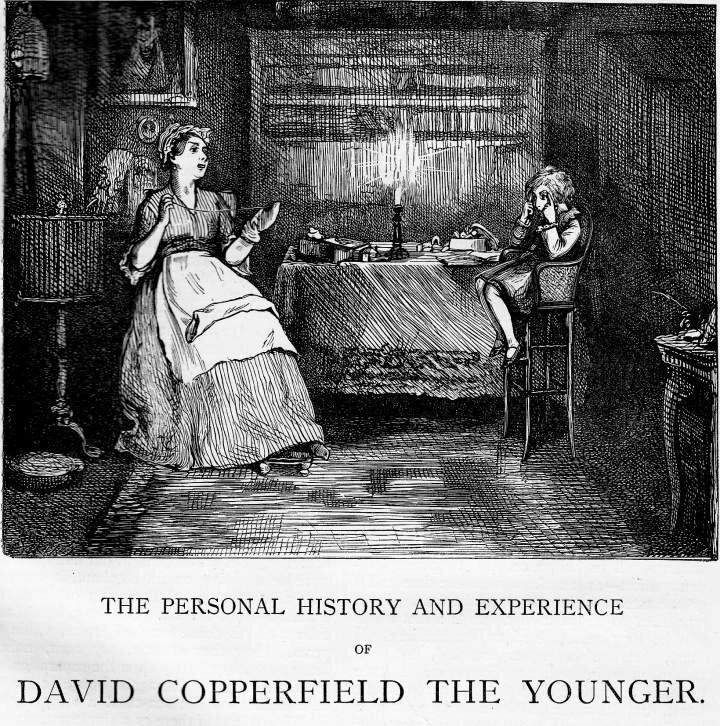 David Copperfield, with 61 illustrations by Fred Barnard. Household Edition. London: Chapman and Hall, 1872. Vol. 3. The copy of the Household Edition from which this picture was scanned was the gift of George Gorniak, Editor of The Dickens Magazine, whose subject for the fifth series, beginning in January 2010, is this novel.